Google recently launched a test version of a translation application that allows user to make language conversion through internet. This translation software allows users to translates their queries to various languages such as French, Arabic, English, German, Italian, Japanese, Korean, Portuguese, Russian, Spanish, and traditional and simplified Chinese. Google reveal that this service will eventually be expanded to include other languages. 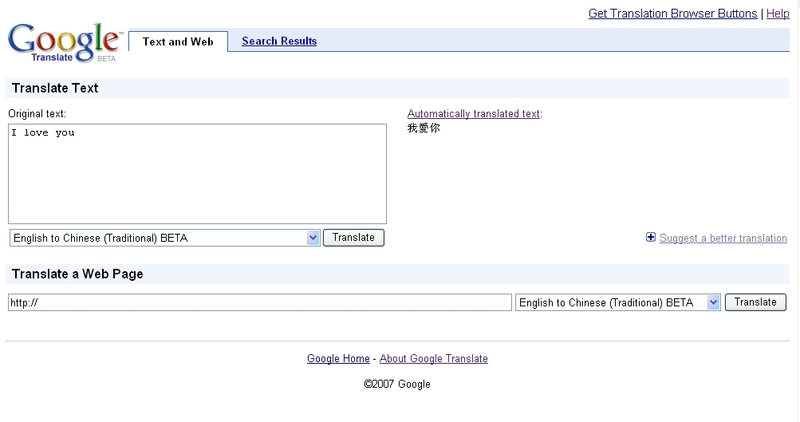 The beta version of Google’s “Cross-language information retrieval” feature is available at http://translate.google.com/translate_s.